Under the iChange umbrella there also have been various other initiatives and activities in the past years, in addition to our core projects. 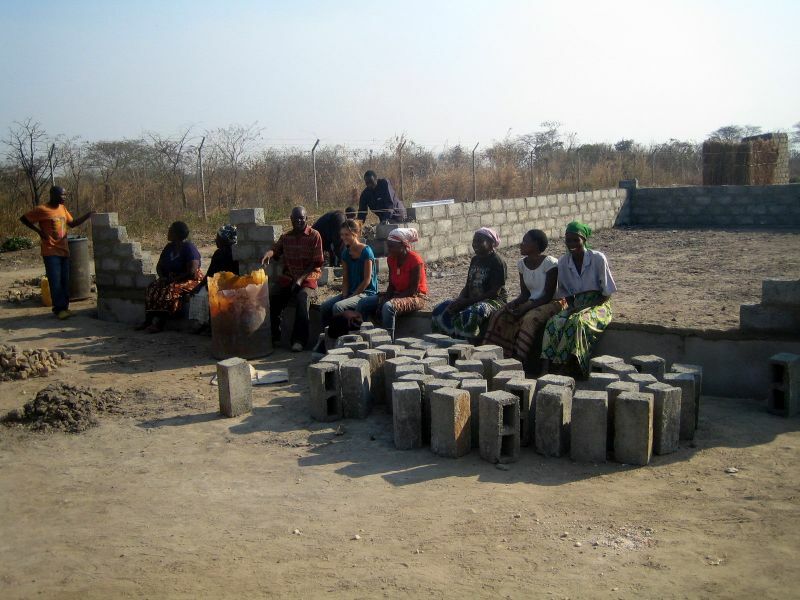 These are typically initiated by our volunteers, the local project team in Ndola and/or, at times, members of our board. After all, it is one of iChange's stated key objectives to enable and support every participant and partner of iChange in realizing their own projects and programs and thus harness most effectively their unique strengths and skills. Where such initiatives align with the mission and purpose of iChange, we support them financially and/or logistically. 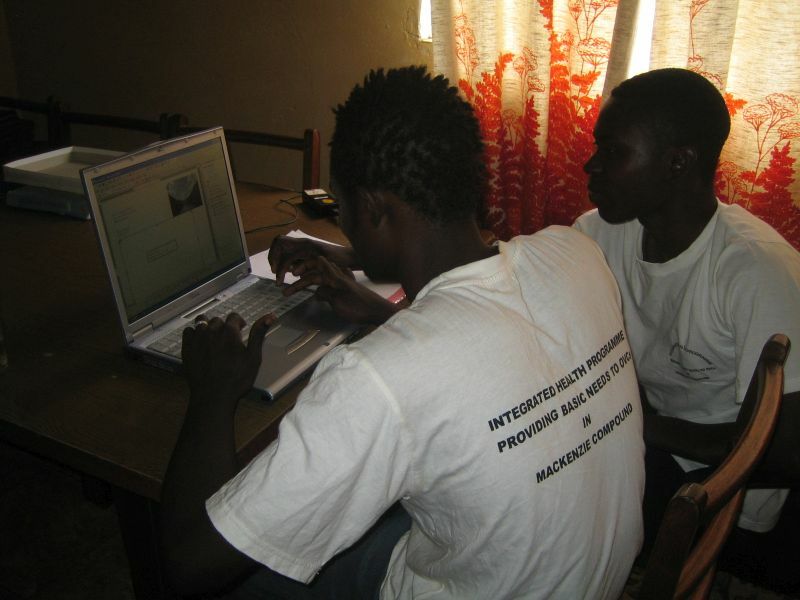 Especially during the early years of iChange's work in Ndola, our team and volunteers repeatedly brought donated laptops with them in order to offer free computer training classes for the local population. Classes typically took place two to three times a week and offered young adults, in particular from Mackenzie, an opportunity to learn relevant workplace skills and thus improve their chances of finding employment. The classes offered by iChange often were the only way for them to access a computer and the Internet, and quite a number of our participants, as it turned out early on in their training, had until then never even touched a computer. To this day, our local project team and selected volunteers continue to offer such classes and trainings to interested young people, enabling them build up skill and competence in this important area. iChange therefore is always receptive and thankful for donations of old but still functioning laptops. Over the past years, various of our volunteers applied their imagination, enthusiasm and talents to implementing various initiatives connected with the Mackenzie Community School. When volunteers are on location at Mackenzie, various types of afternoon programs are highly popular with the school and its students. On days where there are no classes in the afternoon, volunteers have repeatedly offered sports or craft workshops, thus preventing students from sitting at home or roaming the streets of Mackenzie. Driven by the creativity of our volunteers these workshops and programs not only represent an opportunity for kids to use their time in a meaningful and constructive way, they also have given ideas and impulses to the staff at Mackenzie Community School, which by now have found their way into the daily activities at the school. For example, two medical volunteers started a dental hygiene program at the school by donating hundreds of toothbrushes and toothpaste. These supplies were then used to implement a teeth brushing program after each school-provided lunch under the supervision of the school's staff. Yet another volunteer started the first volleyball team in Mackenzie. Volunteers play a fundamental and key role in the organizational philosophy of iChange. Not only can their individual skills and ideas truly create change on location and in our projects, the opportunity to spend time in a developing country like Zambia and live and interact with the local population often also provides them with a life-changing, transforming and unforgettable personal experience. For this purpose, iChange ensures that our volunteers are provided with an adequate local infrastructure for their stay. 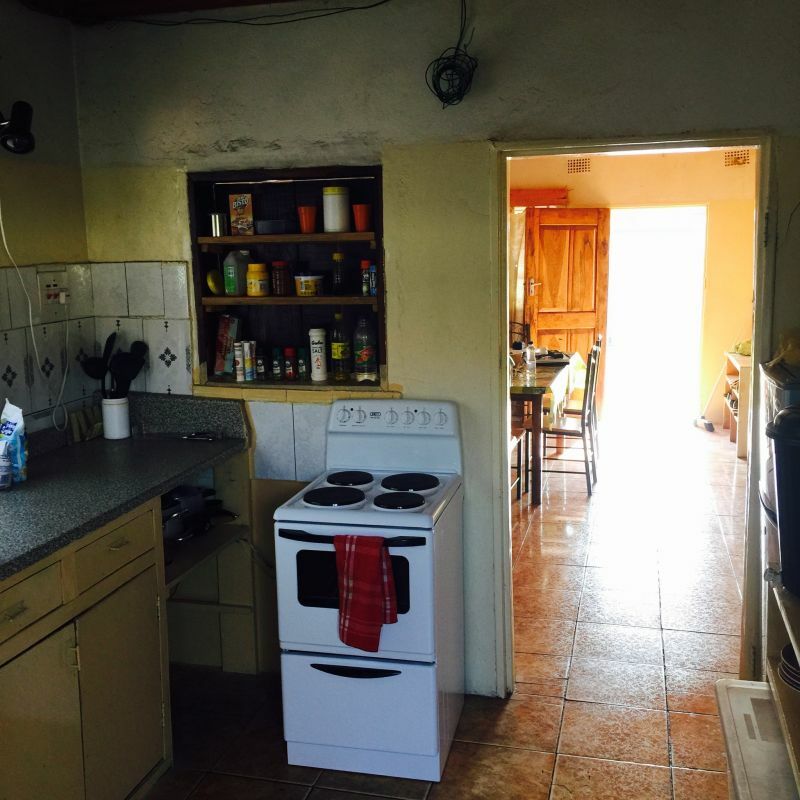 The most important achievement in this context was the construction of Malaika Home, which provided us with our current volunteer home, the 'base' of each volunteer visit. 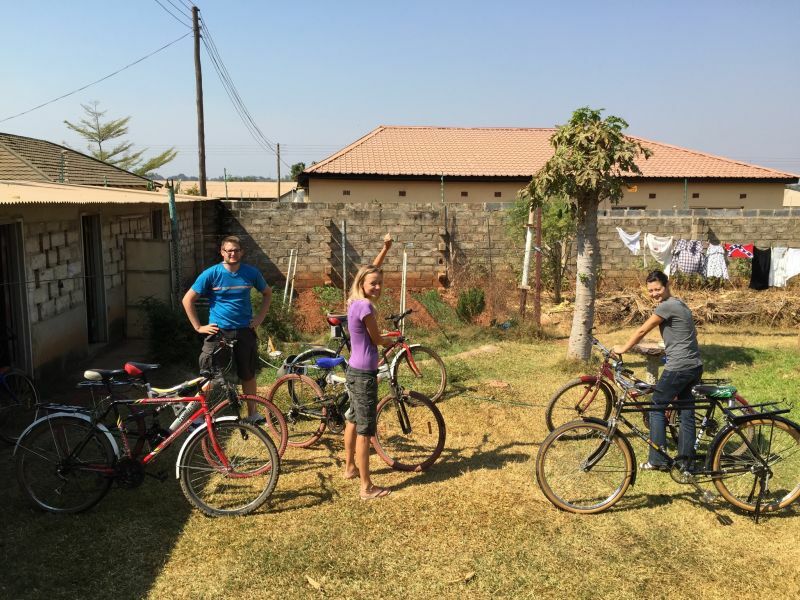 Besides our fully equipped and maintained lodgings, iChange also provides and maintains a fleet of bicycles for our volunteers as an economic and localized mode of transportation. Furthermore, iChange constantly works to expand its network of local partners and project opportunities to offer volunteers even more possibilities to connect their strengths and skills with meaningful local activities. Our partnership with the Madalitso Wits Sports Academy or the open and welcoming relationship which we have with the St. Anthony Children's Village are examples of these efforts. In 2011, iChange initiated the construction of the first-ever medical service point in Mackenzie by renovating and expanding some unused rooms in the local community center. Until then, the population of Mackenzie had to cover long distances, even in cases of emergencies, in order to reach the nearest hospital. After successfully completing phase 1, iChange transferred ownership of this project to a local partner. Since then, this partner developed a different vision for the clinic, which iChange ultimately could not share anymore. We have therefore pulled back from this project in the meantime. From time to time, iChange and/or our volunteers, offer community workshops in Mackenzie targeting a range of topics. Over the past years, for example, trainings regarding HIV/Aids awareness and prevention, First Aid, and Personality Development were offered to the community with great success. These workshops provide participants with a safe environment to learn and interact about, at times, sensitive topics, thus giving them the opportunity to acquire hands-on, practical life skills. Thanks to the generous donations from various reformed churches in and around Schaffhausen/Switzerland, iChange was able to support two local church congregations in Mackenzie in their construction of new places of worship. Religion plays a central role in daily life in Zambia and provides important functions in the social structure of the country. Belonging to a church gives people hope and provides a support network during difficult times. Representing a key component of the fabric of their local communities, churches also often initiate social projects to address the needs of the poorest and most disadvantaged parts of the population living in these neighborhoods.